SMC Asia Car Distributors Corporation (SMCACDC), the exclusive distributor of BMW in the Philippines, launched the all-new BMW X3, a car that is set to write the next chapter in its model line’s success story with an even more striking, dynamic design language, powerful yet also efficient drive systems, and luxurious appointments. 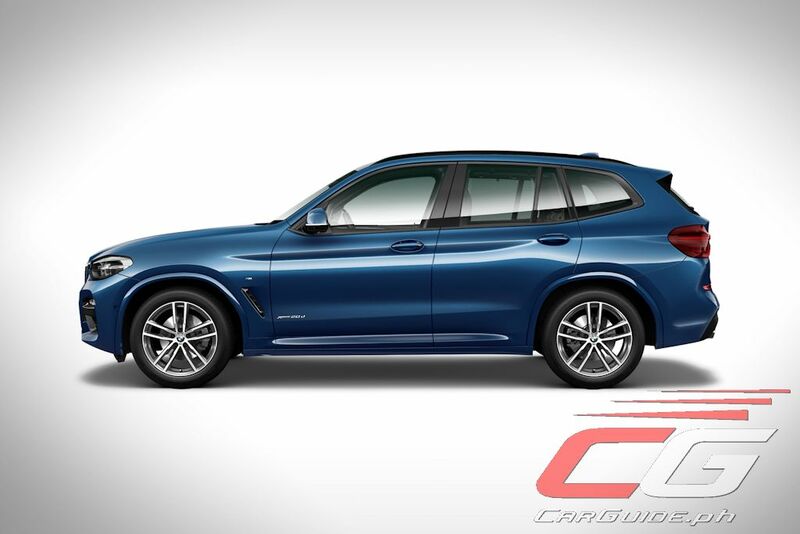 The 2018 BMW X3 elevates the already boldly dynamic design of its predecessor to a new, even more eye-catching form. 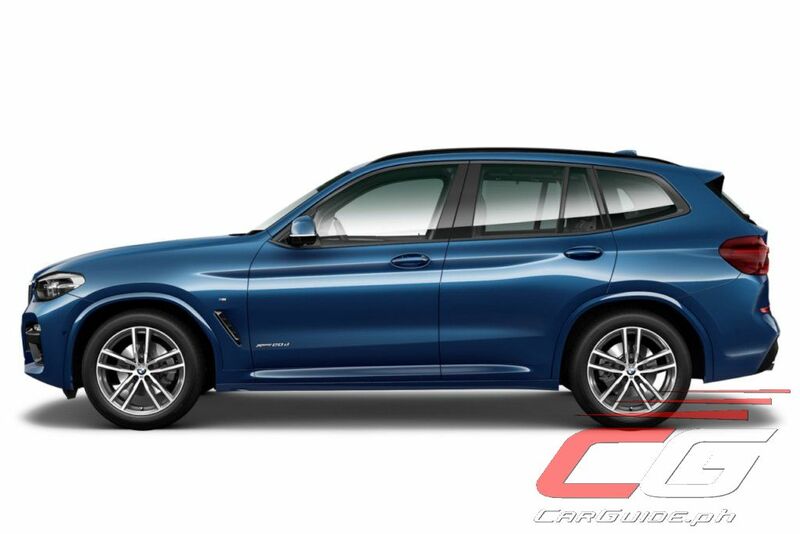 The pioneering premium mid-size Sports Activity Vehicle (SAV) treads a familiar BMW X family path combining rugged off-road looks with sporting presence. The exterior dimensions of the all-new BMW X3 may be largely unchanged, but its five-centimeter-longer wheelbase, long bonnet and short front overhang with finely balanced proportions emphasizes the perfect 50/50 distribution of weight between the front and rear axle, giving it the edge over its predecessor. On the front end, the “three-dimensional” kidney grille treatment and fog lamps featuring a hexagonal design for the first time on a BMW X model underline the confident character of the all-new BMW X3. Moving to the rear, the three-dimensional LED light clusters, markedly downward-sloping roof spoiler, and twin exhaust tailpipes allow the all-new BMW X3 to look suitably muscular. 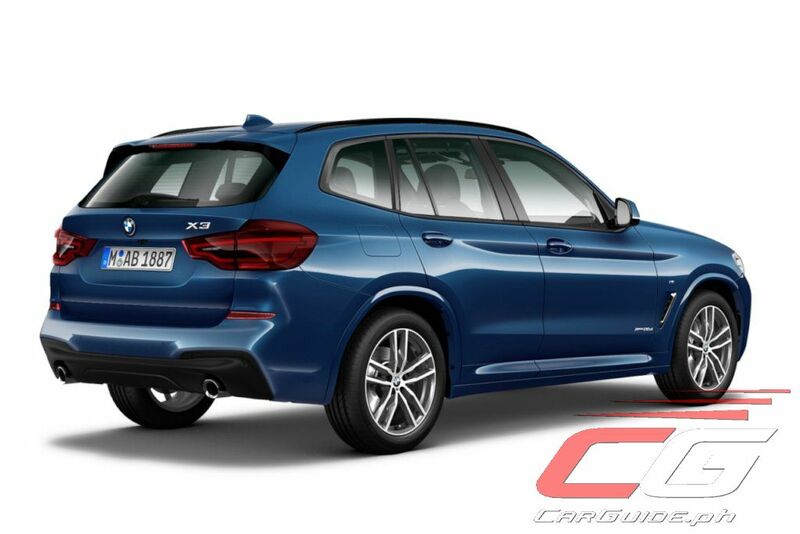 Two trim variants adapt the visual character of the all-new BMW X3 to tie in even more closely with the customer’s personal taste. 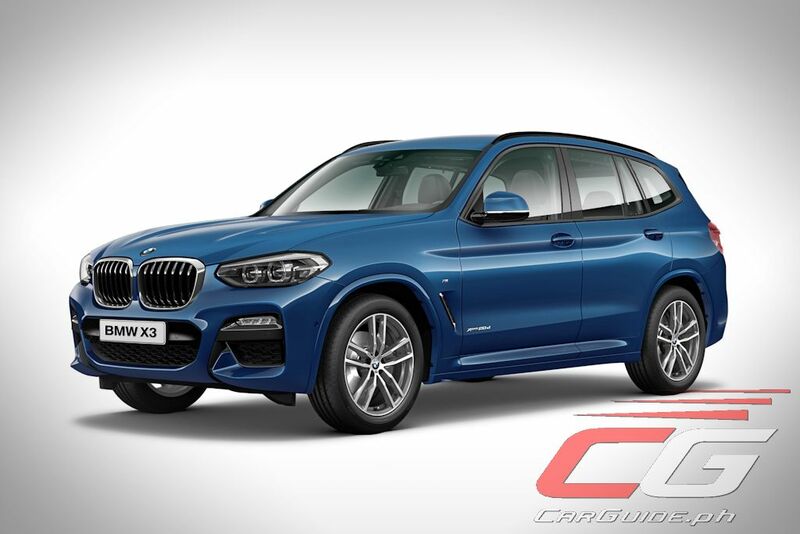 The all-new BMW X3 xDrive20d xLine model, with radiator grille and other exterior details in Aluminium satinated and specifically designed 19-inch light-alloy wheels – emphasizes the robustness of the Sports Activity Vehicle. 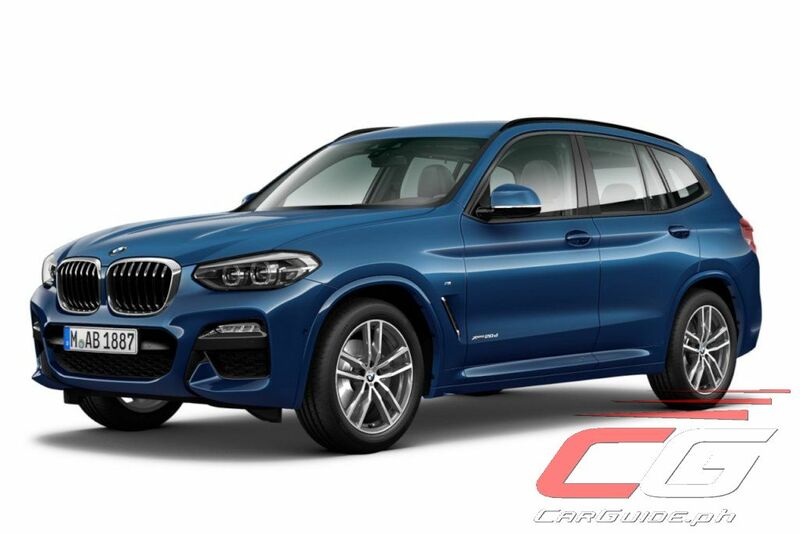 Meanwhile, the all-new BMW X3 xDrive20d M Sport model focuses its attention on the dynamic gifts of the all-new BMW X3 with M aerodynamic features, a particularly dramatic design on the 19-inch light-alloy wheels, and the new exterior paint shade of Phytonic Blue. In addition to distinguishing the exterior appearance of the all-new BMW X3 in their own particular variants, the two model lines also take specific approaches on the look and specification of the interior while following BMW traditions with a driver-focused and ergonomically optimized cockpit layout that comes in exceptional material quality, fit and finish, and impresses functionality-wise. The xLine model focuses on pureness and elegance, and is standard-fitted with full Vernasca leather upholstery sports seats. It also comes with decor stitching and interior trim strips in black high-gloss with highlight trim finishers in Pearl Chrome. 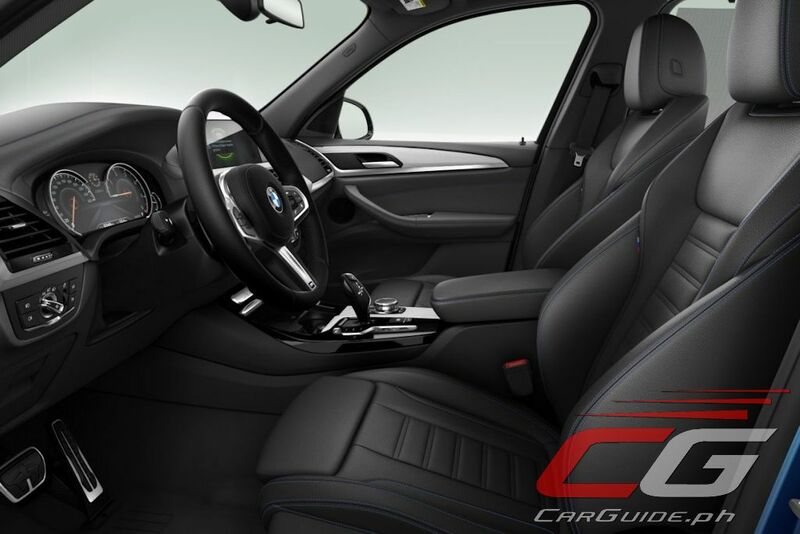 The M Sport model, on the other hand, provides an athletic visual showcase with an M Sport leather steering wheel, sports seats, anthracite-coloured BMW Individual headliner and new interior trim strips in Aluminium Rhombicle in the interior. The standard combination of contour lighting above the trim strip in the instrument panel and ambient lighting bathes the interior in an extremely classy and relaxing ambience. Customers can choose from six colour tones (Orange, Lilac, Mint, Bronze, Blue and White). Both variants come standard with a number of new, chiefly comfort-enhancing equipment features not offered for its predecessor. These include three-zone automatic climate control, which adds separate temperature controls for the rear compartment, driver and front passenger. Elsewhere, the standard-fitted acoustic glazing of the windscreen contributes to the extremely low noise levels in the interior, even at high speeds. To further improve the comfort level of the rear compartment, the angle of the standard 40/20/40 split/folding rear seat backrests can be adjusted individually. This feature also allows the backrests to be released remotely from the load compartment, which expands the standard load capacity of 550 liters to 1,600 liters. The all-new BMW X3 also excels when it comes to controllability and driver assistance systems. In addition to the latest version of the BMW iDrive system fitted as standard, the Navigation system Professional opens up the touchscreen and gesture control, functions which have so far been exclusive to the current BMW 7 Series and new BMW 5 Series. The 10.25-inch touch sensitive central display provides a quick summary of the most pertinent information, and offers users intuitive access to whatever they are looking for. Gesture control allows numerous infotainment system and telephone functions to be operated intuitively using finger and hand gestures. Moreover, intelligent parking assistance systems ensure that every journey in the all-new BMW X3 is enjoyable, including parking. For instance, Parking Assistant makes parking easier as the system measures potential spaces while driving past at a low speed and aids the driver in steering, acceleration, braking, and gear selection to automatically position the car into parallel and lateral parking spaces. The all-new BMW X3 delivers an even sportier driving experience than its predecessor without compromising comfort. Both variants are powered by a 2.0-liter BMW TwinPower Turbo diesel engine producing a 190 horsepower and 400 Nm. The power unit stems from the latest generation of BMW engines and operate even more efficiently than the models they replace. 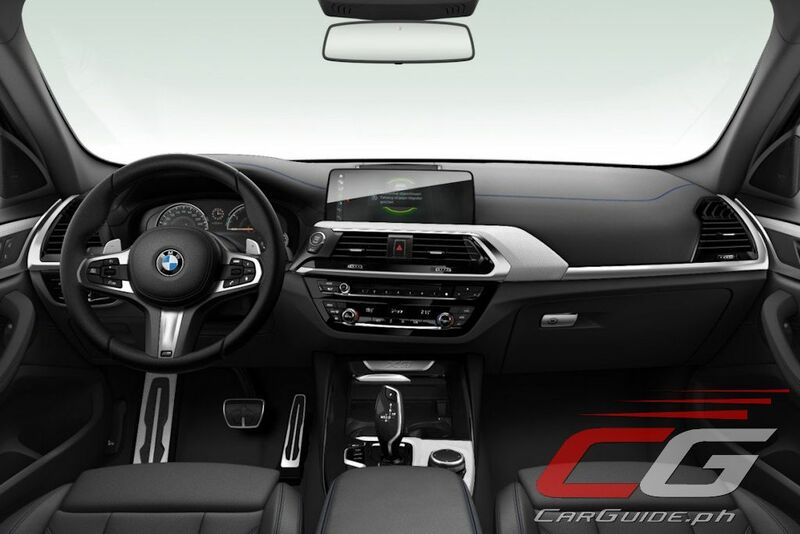 Further improvements have also been made to the efficiency of both the 8-speed Steptronic transmission with gearshift paddles and the BMW xDrive intelligent all-wheel-drive system. Lowering the vehicle weight is a key factor in the efficiency and agility of the all-new BMW X3. For this reason, intelligent lightweight design is integrated into all areas of development and encompasses every component. In addition to the inclusion of plastics and state-of the-art composites, the increased use of aluminium components in the engine and suspension systems has also reduced the weight of the relevant assemblies. As a result, the all-new BMW X3 is up to 55 kilograms lighter than its respective predecessor models with similar specifications. 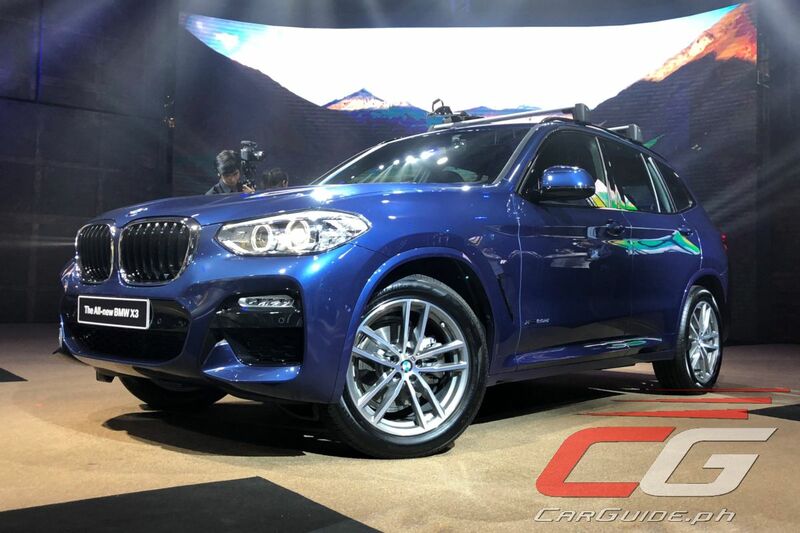 The 2018 BMW X3 xDrive20d xLine is available at P 4,390,000.00 while the 2018 BMW X3 xDrive20d M Sport is priced at P 4,590,000.00.